I was three years old when Marvin Gaye died in 1984. In East Berlin we didn’t have American soul records, so it would’ve been quite the sensation if your dad came home with a copy of What’s Going On in 1971. I discovered Marvin Gaye—and soul, for that matter—when I was 17 or 18 in the late 1990s. By that time I was old enough to like stuff like that without feeling weird about it being so soft and emotional. I was a hip-hop kid prior to that, and techno always played a role too, but more on a clubbing level. I came across Marvin Gaye and soul through samples in hip-hop tracks. At some point I started to wonder where all these samples came from, so I started to research my favorite tracks. Marvin Gaye isn’t sampled as much by the hip-hop community as others, like James Brown. Especially his backing tracks weren’t sampled that much, which I think is odd because there are so many cool little loops to find. Once I started to find the original source of all these samples, I stepped into a whole new world full of amazing music. Slowly but surely my fan focus turned from the hip-hop producers who had re-contextualized those records to the original artists. That was before Google, YouTube or Discogs, so it took some time to connect the dots. Back then I wasn’t singing or producing or striving to do either. And to be honest, Marvin Gaye is god-like as a singer. I will never even come close to him. It’s all well and good that I sing too, but he was in a completely different league than I am. The first Marvin Gaye songs I fell in love with were the most-well known ones like “I Heard It Through The Grapevine” and “Can I Get A Witness”. From there I slowly worked through his whole discography. By the time I got to What’s Going On, the album was like an epiphany. I had started to record my first sketches and was beginning to listen to music differently—with a producer’s ear. I got totally absorbed by What’s Going On and analyzed every detail: the instrumentation; the overdubs Gaye recorded. That was pretty mind-blowing—especially his way of working with his own voice and how he layered different takes to create these stunning harmonies. It is probably one of the albums I’ve listened to the most in my life. I’ve bought basically every anniversary edition, as well as the “Detroit Mix”, which is just another and more percussive mix down of the album. I have the 25-year anniversary CD and, just recently, I bought the new 40-year anniversary quadruple CD box with outtakes and jams. Talking about samples, those previously unreleased jams are pure sample heaven. If you dare to go there. As far as I know, Berry Gordy didn’t want to release the album. It was too political for him; it dealt with the civil rights movements, the Vietnam war, pollution and more. But Marvin Gaye managed to force Gordy’s hand, and What’s Going On turned out to strike a chord with the political zeitgeist, becoming an instant classic. I am pretty sure that Gaye opened the door for a whole new generation of Motown singers and bands with the album, I am specifically thinking of The Temptations or Rare Earth—and it crossed over into the white mainstream, too. He was a true performer. Even though he was no James Brown. At the same time he had a very distinctive style. There was something noble about his demeanor and the way he dressed that I love to this day. I haven’t really figured out why Marvin Gaye and especially that album touched me so much. Where did the emotional connection come from? I mean, when I started listening to it I was aware of the socio-political context it was created in and commenting on. But I was this kid from East Berlin for whom the struggles of African-Americans were not a daily reality. As an artist I don’t trade in social commentary myself. My lyrics are more personal and, also, I realize that I am pretty privileged. The pressure to reflect on autobiographical hardships or every day struggle doesn’t exist. Live At The Montreux Jazz Festival 1980 was another milestone for me in Gaye’s oeuvre. It’s just such an amazing performance. Did he already flee the U.S. for tax reasons? I’m not sure. But he moved to Ostende in Belgium, of all places. It’s a baffling choice, to be honest, and it exudes a bit of melancholy. Anyway, I must have watched the DVD of this show a thousand times. The ease with which he addresses the audience really left a big impression on me. He managed to make people feel comfortable and created quite an intimate atmosphere. I will soon go on my third tour with live singing, and I think my stage presence and ability to be a host of a show has developed well since my first tour, when every announcement and anecdote felt awkward. I learned from experience, but I also learned from watching Live At The Montreux Jazz Festival 1980. But Marvin Gaye is and will always be miles ahead of me for obvious reasons. I know my limits. I know my skill level. I’m a producer who sings—not the other way around. I’m happy about that. Being humble is an important and beautiful thing. I enjoy watching and listening to Marvin Gaye in awe from a distance. 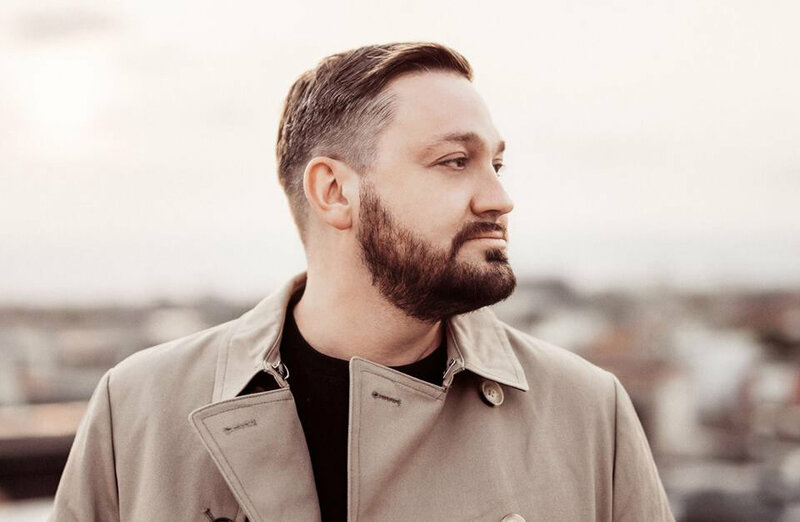 Fritz Kalkbrenner’s new album, Grand Départ, is out now on suol/BMG.